Although I canceled my Amazon Subscribe and Save orders, a few managed to ship before the cancellation went out. Actually, I suspect that wasn't an accident as once I started canceling orders, the email alerting me to the next shipment mysteriously didn't arrive. 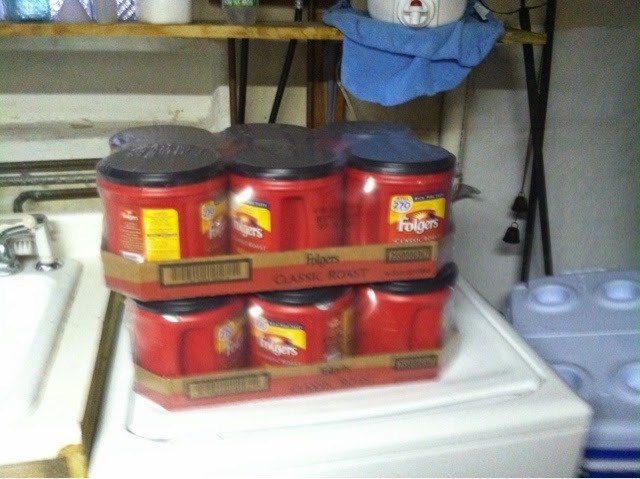 No matter, we will definitely use all this coffee and if there is another Polar Vortex driven winter or a Zombie Apocalypse, we are prepared, or at least will be well caffeinated.